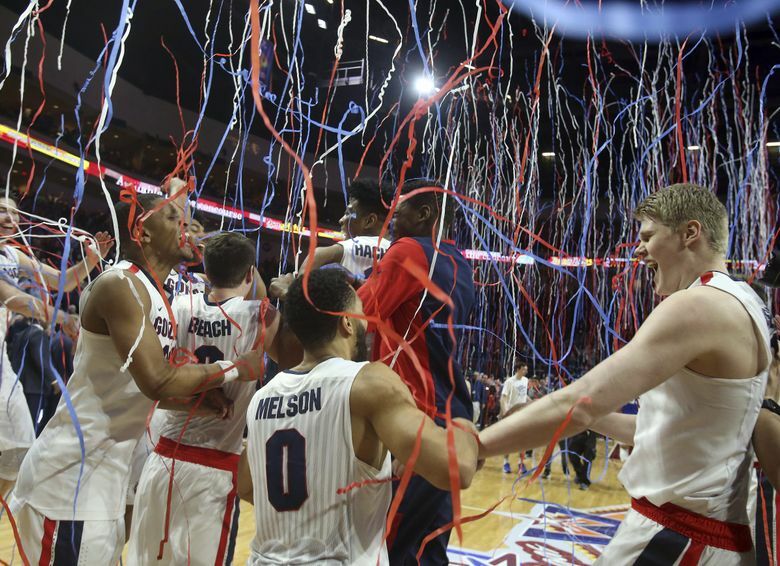 Once again Gonzaga is the only team from the state to make the Big Dance, but the Huskies are headed to the NIT. 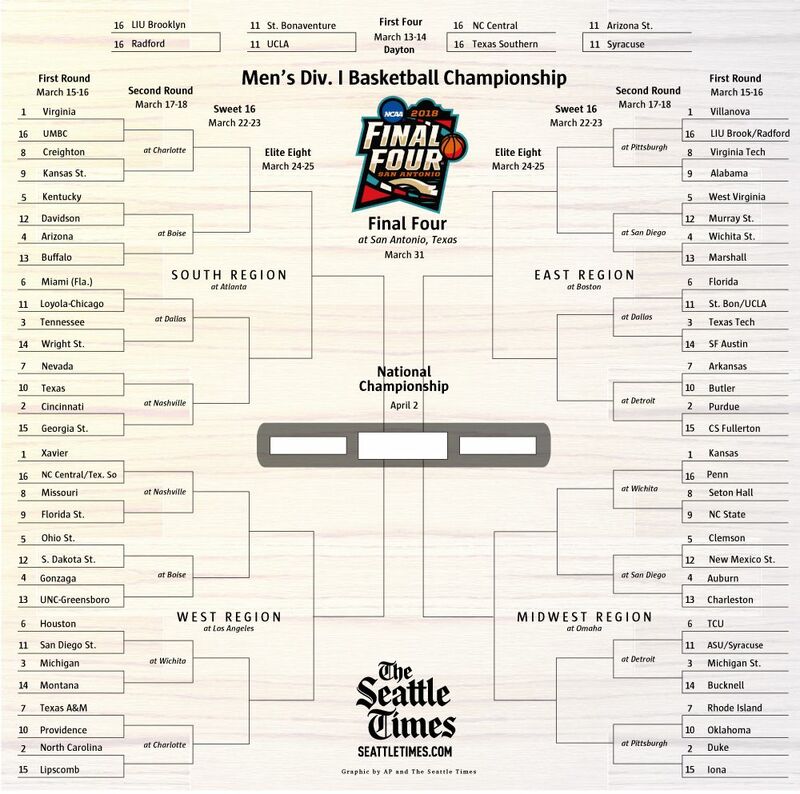 Get your NCAA tournament bracket here. Sharpen your pencils: The NCAA tournament is here. Once again, Gonzaga was the only men’s team from the state to make the Big Dance, earning a No. 4 seed. But Seattle will be represented by its namesake university on the women’s side, with Seattle U qualifying for its first NCAA tournament bid. We’ll know the Redhawks’ seeding when the women’s bracket drops on Monday. Mike Hopkins took the Pac-12 by surprise in his first year at Washington, but the Huskies faded and fell short of the tournament. Arizona (4-seed), Arizona State (11) and UCLA (11) were the only Pac-12 teams to make it, and two — the Sun Devils and Bruins — were among the last four in. The Huskies are headed for their ninth all-time NIT appearance.